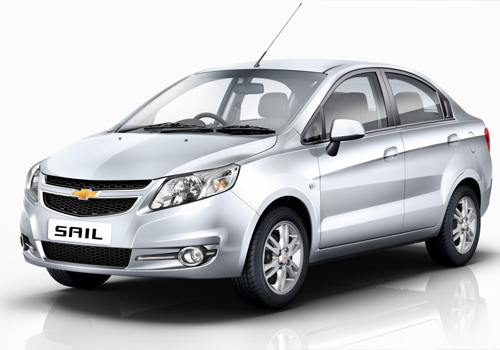 Chevrolet Sail UVA has proved itself since its launch last year and the recent entry Chevrolet Sail sedan is also doing wonders. Meanwhile, the Chevrolet Enjoy is awaiting launch and is expected to cross all sales targets once it sets in. With so much enthusiastic sales of Sail UVA, Sail sedan and Chevrolet Beat Diesel, the car maker has recently crossed its production capacity and now the new production capacity has been increased to 2.7 lakh units. With this, the car maker is also sure that it will be able to meet the delivery of its cars and the increased production with ease pressure on the delivery schedule. Notably, with the new car launches in the last 3-4 months, the car maker is able to get high number of booking as the car products such as Sail UVA have found a better positioning in terms of sales and have to an extent to do some spoilsport to the segment leader such as Maruti Swift. Meanwhile, the recent launch of Sail sedan has given people an option to Maruti Swift Dzire, Toyota Etios, Tata Manza, Mahindra Verito and Ford Fiesta Classic. It is quite similar to what Maruti India did with Swift and Swift Dzire and so is Chevrolet enjoying good sales with these two cars in place in the hatchback and the sedan segment. Other Chevrolet cars such as Chevrolet Tavera, Chevrolet Captiva and Chevrolet Spark have also played their part in giving confidence to the car maker to go ahead with the production capacity expansion. Also, the production boost is in line with the car maker’s plan to boost sales by 50 percent this year. Industry experts believe that this much sales boost is feasible as the company has come into some real action only in late 2012 and now that it has one more offering pending launch as well as other cars in the offing, it will be able to easily achieve the target it has set for itself.